The numbers say this should be a Denny Hamlin weekend. He's got the best numbers at this flat one-mile. Unfortunately it would come too late to help him in his bid to make the playoffs. Those two crashes at Daytona, following that crash at Kentucky the week before, were the nails in the coffin. So....the man with the second best numbers here? It's halfway now, 18 races in the books, 18 more to run, between now and Thanksgiving. 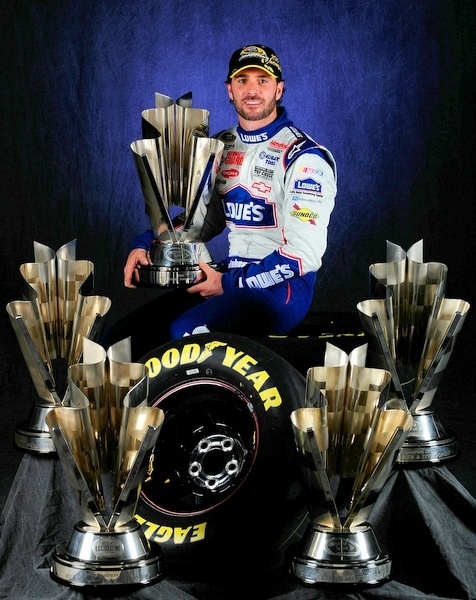 And, hey, as tough as Jimmie Johnson is looking right now, let's just give him the trophy. Sizing up the first half of the Sprint Cup season, and what stands out? Jimmie Johnson and Matt Kenseth...and crashes, penalties, rules controversies, and Ford's malaise. Was that a full moon Saturday night at Daytona, or what? A lot of driver error, it would seem. Maybe we need to go to the video and start assessing blame. 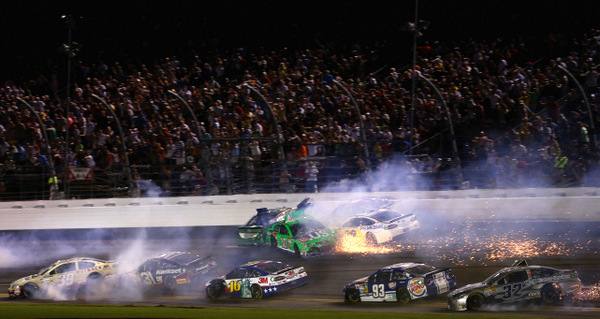 As thrilling and tense as Friday night's Daytona Firecracker 250 Nationwide race was, Saturday night's 400 was not so much. Unless you like cars crashing wildly. How many passes for the lead under green, aside from pit stop restarts? With so-so crowds, and so-so TV ratings, and so-so action out on the track, and little buzz surrounding this sport, maybe it's time to change up some things. That's the most boring part of a race weekend. Maybe take a tip from Formula 1. Maybe take a tip from Indy-cars. -- Maybe shorter races. Three hours now, with maybe only the last 20 minutes exciting. Change it up. If drivers raced all 500 miles, fine; but they don't, so cut 'em. -- Maybe a shorter season. When the sport runs from early February through late November, there is no urgency. One tour event per track, and that would help demand. -- Maybe -- Jeff Gordon suggests -- Monday Night Racing, like the NFL's Monday Night Football, which is as much a happening as a game. -- Maybe shorter race weekends: some one-day in-and-outs. 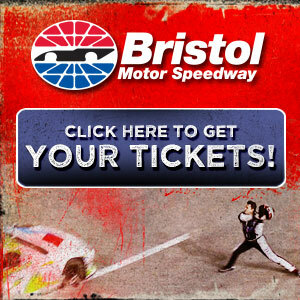 Make it a full Sunday at, say, Martinsville. Alas, there are no signs Daytona executives are willing to get creative. And there are no signs that these new 2013 stockers -- as neat as they look, and as good as they handle -- are doing much to spark the sport. When is a safety rule violation not a rule violation? When NASCAR officials decide to take a pass. Remember those safety roof flaps at Daytona that inspectors made a big deal out of confiscating from 31 teams? After thinking more about it, NASCAR decided it wasn't such a big deal after all. The official pronouncement: "We examined this from every aspect we possibly could and determined that there would be no penalties involved. "Based upon our inspection and subsequent review, it was our determination that the functionality and safety aspects of the roof flaps were not compromised and the on track competition would not be impacted. "Moving forward we will work with the roof flap manufacturer and the race teams to evaluate and optimize the associated installation hardware, review the process in its totality and communicate in a timely manner to the garage area any revisions that we determine need to be made." There has been no explanation how 31 teams could have so clearly been in violation of the safety flaps design (which is rigorously defined down to the nuts and bolts), and no indication of how long teams have been in violation, or how stringent, or not stringent, NASCAR inspections in this area have been. Ryan Newman, after a car flew up and crashed on top of his car at Talladega in May, blistered NASCAR for not doing enough to keep race cars from flipping. And there is still no word from NASCAR executives on how-or-if they plan to deal with the soft-wall issues that drivers have complained about. Has this sport become just so safe that safety issues can be so easily dismissed? Wonder if Denny Hamlin might want to weigh in on this. Does NASCAR's medical staff really know how many concussions Hamlin has had this season so far? Denny Hamlin's two crashes at Daytona essentially ended any hopes of making the playoffs this season. And several others are now in danger of missing the chase. 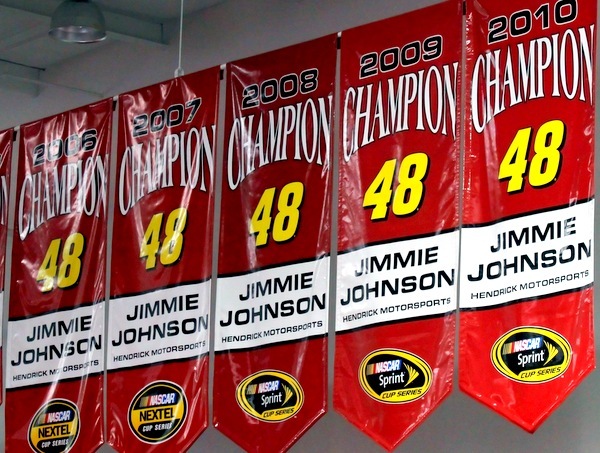 While some have criticized this sport for putting too much emphasis on the championship and the playoffs and not enough on winning races and leading laps and putting on good shows, the race to make the chase is maybe the only storyline at the moment. Jeff Gordon, 14th and trying to earn one of the 12 spots, hasn't won since last fall, while teammate Jimmie Johnson now has four wins. Fellow teammate in the Rick Hendrick camp, Dale Earnhardt Jr. is also winless, and Kasey Kahne Bristol win was long ago...raising questions about the balance of power in that part of the Team Chevy camp. 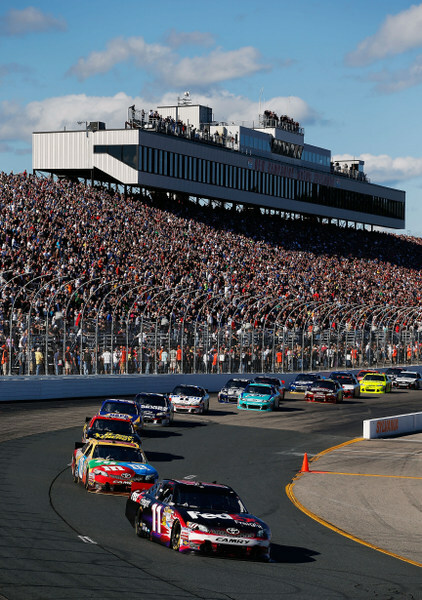 Sunday's short-track stop at this flat one-mile 90 minutes north of Boston could be an opportunity for someone other than Johnson to make it to victory lane. "We don't have any choice but to race hard and be aggressive. We have so much more potential; if we live up to our potential, we can earn a chase spot. We've had such an inconsistent year." Gordon isn't alone in erratic performance. Just about every team, except Johnson's and Matt Kenseth's and Kurt Busch's, has been on-and-off maddeningly. Johnson and Kenseth at least have wins; Busch, for all his strong runs with crew chief Todd Berrier, is still searching. However Busch, now ninth in the Sprint Cup standings, is looking good for the playoffs. 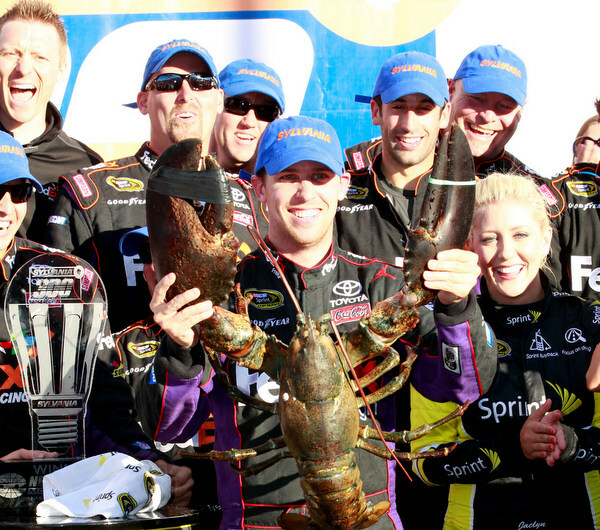 And New Hampshire has been good to Busch over the years. He's got three Cup wins here and a Truck win. "It's a track with a delicate balance," Busch says. "But the race is usually won on how well you can roll the center of the corners. "Some years turns one and two are more of a struggle. Turn three is always the bumpier corner entry, but if you can get rolling through the middle, it gives you a better shot at winning." Busch, who could easily have won three times already this season, has surprised many with his new intense focus and a new ability to avoid frustrating distractions. Just a month ago he was mired deep in the standings, 20th; now, with three straight top-10s, he's looking toward the playoffs. Two men to watch here: Tony Stewart and Kahne. Stewart has three wins here; Kahne won last July. However Stewart's season has been largely a disappointment all the way around, despite that unexpected win at Dover and a runner-up finish at Daytona (after crashes wiped out so many top contenders). Stewart may credit his shot at a Daytona win (he won last summer's 400) to his strategy of dropping to the back of the pack and just riding around for much of the race. That is a tactic many drivers have taken, with somewhat mixed success. And it is a tactic that doesn't set well with fans, who don't pay good money to watch drivers take it easy. Stewart says this 300 is particularly frustrating for drivers, because the track is essentially a high-speed Martinsville -- longer straights but very tight, flat corners. "You're either fighting 'entry-loose' and nice in the center, or you're fighting tight in the center and good on entry and good on exit," Stewart says. "It's a juggling act, trying to get the car balanced for all three sections of the corner." One of this season's enigmas is Kahne, whose bad luck is perplexing. He opened the season strong, but the last two months he's been in a funk, and until he gets another win, he's questionable for the playoffs. Since leaving Charlotte in late May, Kahne has finished 23rd, 36th, 38th, 6th, 11th and 32nd.